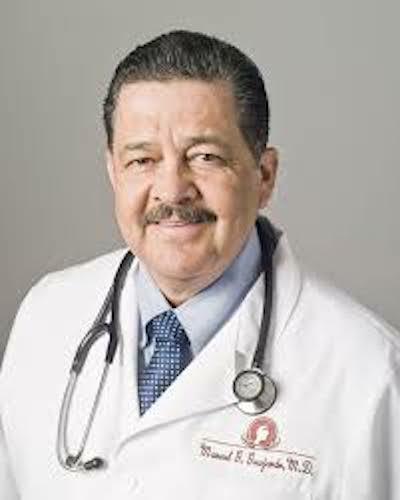 Dr. Manuel G. Guajardo was born and raised here in Brownsville, Texas. He graduated from Brownsville High School in 1974. He attended Texas Southmost College and continued on to the University of Texas at San Antonio where he received his Bachelor of Science Degree in May, 1978. He then attended The University of Texas Medical School at Houston, where he received his Medical Doctor Degree in June of 1983. Following graduation from Medical School, he completed a four-year residency (specialty training) in Obstetrics-Gynecology at Methodist/Parkland Hospitals of Dallas. Dr. Guajardo returned to Brownsville in the summer of 1987 and has continued his practice here. Dr. Guajardo currently practices at both Valley Regional Medical Center and Brownsville Doctors Hospital. In January 1996, Dr. Guajardo was appointed by then Governor of Texas, George Bush, to serve on the Texas State Medical Board of Medical Examiners District Review Committee. Since December 2001, Dr. Guajardo has been appointed & reappointed to the Texas Medical Board by the current Governor of Texas, Rick Perry. In this capacity, Dr. Guajardo will oversee those physicians throughout the State of Texas practice medicine within the guidelines set forth by the Medical Practice Act of the State of Texas.